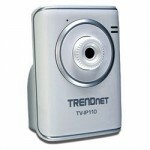 Buy.com – The Internet Camera Server (TV-IP110) transmits real-time high quality video over the Internet. View your camera from any Internet connection. Complimentary SecurView camera management software provides advanced monitoring of up to 16 cameras to protect what you value most.